Do you remember playing outside in the streets until it got dark? Cycling on a clapped out old bike over mounds and troughs through fields without a helmet on? This is how a lot of children played 30 years ago and there was no mention at all of Children’s Mental Health Week. Such a thing simply didn’t exist. 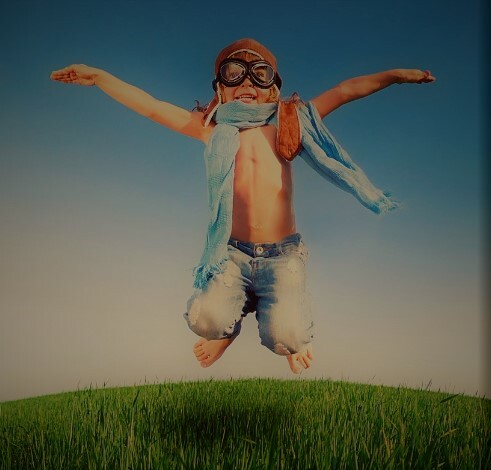 30 years ago children had the time and the freedom to play outdoors until dark without the fear of being harmed, abused or snatched. Now more and more children chose to stay indoors in front of a T.V or I Pad. It’s increasingly rare for parents to eat their evening meals with their children and more and more children eat with the T.V on. Now for more and more children it’s the norm that their parents are staring at their phones and conversation is limited. They don’t know any different. 30 years ago more children took part in local activities for young people such as the Boy Scouts or the Girl Scouts, now known as just The Scouts. However the general acceptance that homosexuals are involved, unfortunately means that fewer parents want their little boys attending. It means that children aren’t interacting emotionally as much as they were 30 years ago. You’ve seen the little kid out with Mum or Dad in town. They’ve gone for a coffee for a treat. The drinks come, Mum or Dad on the phone and the kid staring into space. How many times have you seen groups of girls, around 14 years old out together, but all looking at their phones! And the parent picking up their kids from school with their child/ren walking home behind them while they scan Instagram to remark on the image of someone’s lunch. 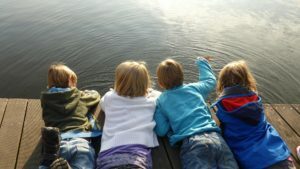 So it’s not surprising to me when I hear parents saying that they can’t get their child to open up about how they are feeling – their children simply don’t know how they are feeling. Children need look at faces to get social information. The following tips will help. Giving your child the opportunity to come up with suggestions helps them address their own emotions. 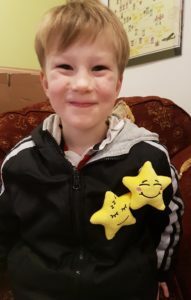 There is a new emotion resource called My Mood Stars that can also help with children’s emotion recognition, especially those on the autism spectrum as some of these children struggle to identify emotions. The 8 soft and sensory Stars depict different emotions very simplistically without the confusion of gender, race or age. Hand sized, the 8 Stars make perfect toys to carry around and hold. They are easily transportable so can be taken to school, on long car journeys or to the hospital or dentist for that extra feeling of security. Kids can now even wear them with the introduction of the My Mood Stars badge! 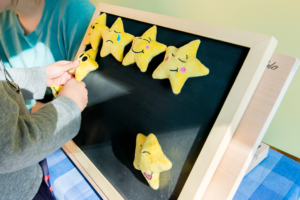 The set of bright yellow Stars can be played with by themselves or with the My Mood Stars board onto which the stars can easily pop on and off. Books are another great way to help your child learn about other people’s emotions in different situations. My new book Meet the Mood Stars is coming out later this year. Meet the Mood Stars is a story book including short stories about all the Mood Stars with a CD included of yours truly reading each one. So there are things that we can do with our children that have a positive impact on their emotional wellbeing. Feedback? Please use the contact form on the My Mood Stars website. Worried about a child’s mental health?